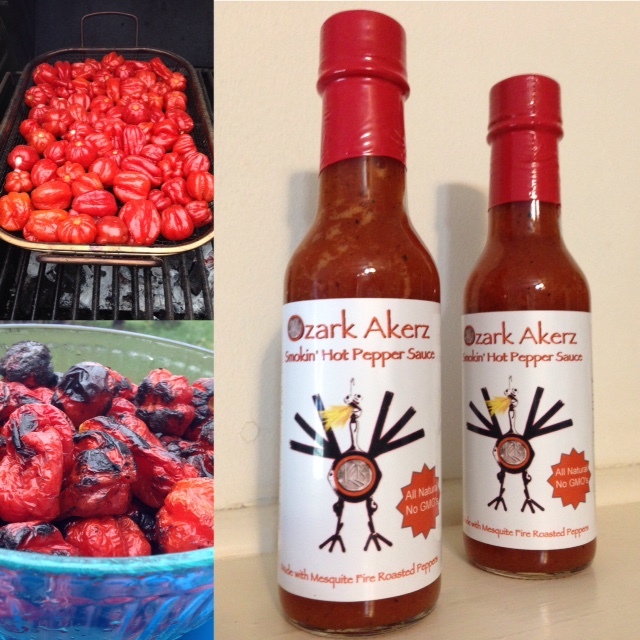 Our farm raised hot pepper sauce is made with Habeñero and Jolokia Ghost peppers grown at Ozark Akerz, with no herbicides or pesticides! The peppers in our Smokin' Hot Pepper Sauce are fire-roasted over a mesquite wood fire, giving it a distinct smoky flavor! We made our first batch in 2014 and folks loved it, so much so that it sold out in no time! Our hot sauce is a seasonal product and we only brew the sauce when the peppers are growing on the farm so supplies are limited. Beginning in 2015, we will offer customized label design to personalize your hot sauce, great for a gift for your table or your a personal touch for your restaurant! Please contact us for personalized pricing. Our annual batch of Smokin' Hot Pepper Sauce will be ready for sale in the fall of each year. Each individually numbered 5 oz bottle retails for $12.50. 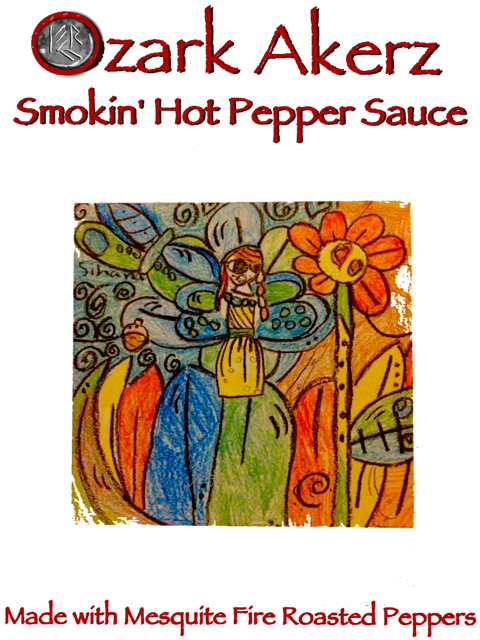 We sell the hot sauce at events in and around the Triangle and Triad areas and on the farm. We ship to any destination in the US (minimum order of 5 bottles). Our newest hot sauce was a created because of a mistake, and everyone that's tried it is raving about the flavor! In fact it was so popular it sold out in one day! We are trying going to have to find time to brew more soon! The Mesquañero™ Mistake: When we were blending one batch, we couldn't remember if Sue had added salt, so she stopped and we tasted it. We had only added Bell and Habañero peppers (not the ghost Jolokia peppers) and the flavor was amazing! 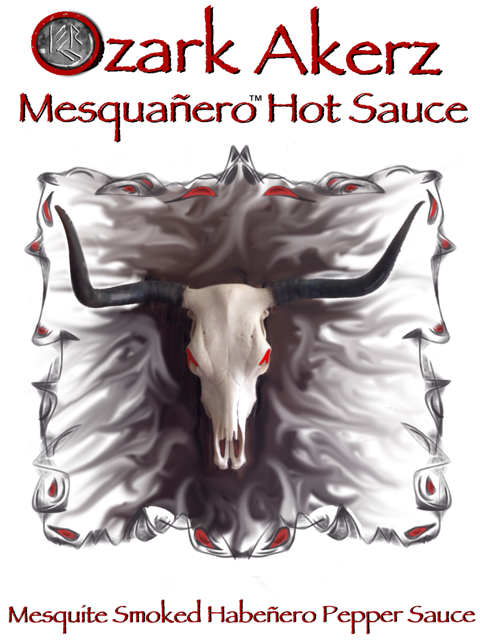 We called it Mesquañero™ Hot Sauce because it's made from mesquite (Mesqu-) smoked Habañero peppers (-añero).